I wanted to do something simple that got straight to the message of how important getting out and voting is in the U.S. 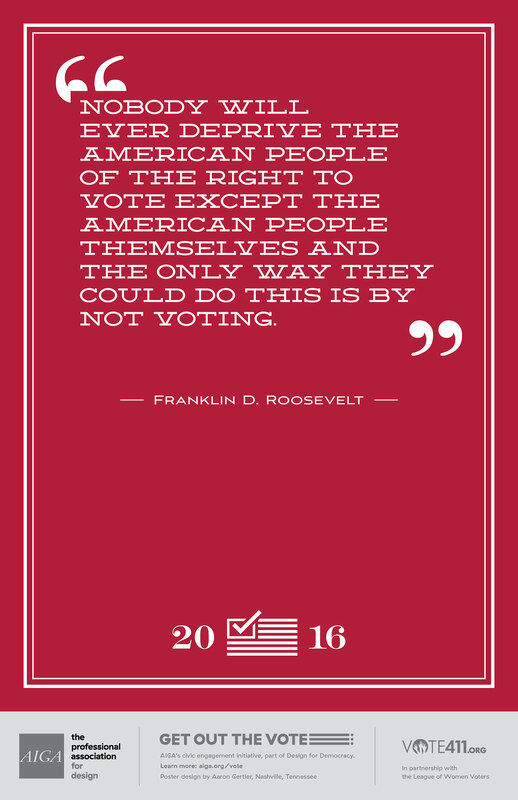 I thought this quote from FDR did just that so I let the type speak for itself. Poster entry for AIGA's #GetOutTheVote 2016 initiative.